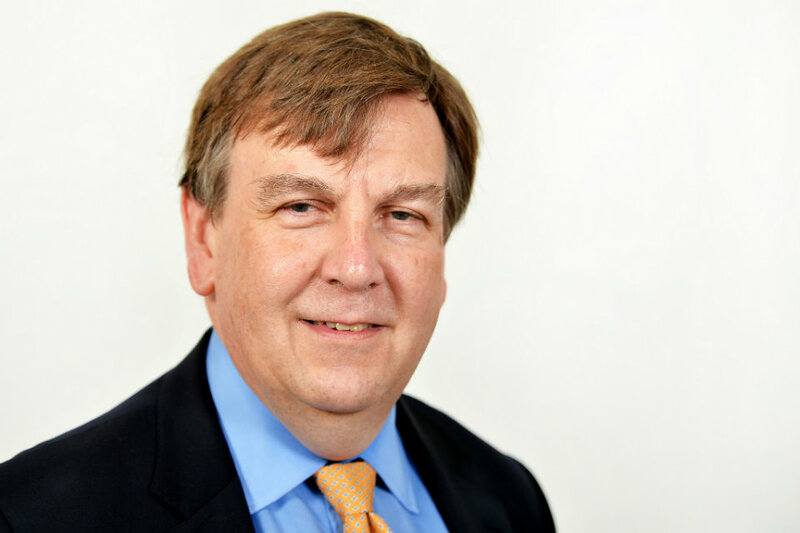 Secretary of State for Culture Media and Sport, John Whittingdale, addresses delegates at the Telegraph's Business of Sport conference. It is a pleasure to be here with you at this Business of Sport conference, not least following this country having just seen one of the most extraordinary sporting achievements of all time. I will leave it to others to determine whether Leicester City’s Premiership triumph is a bigger shock than Boris Becker winning Wimbledon at seventeen, or Buster Douglas knocking out Mike Tyson, or indeed what Brian Clough achieved with Derby County and Nottingham Forest. Two things are certain, however: what Leicester have done has got the whole world even more excited about English football - and Keith Vaz is going to keep wearing his Leicester City scarf unless someone can wrestle it off him. It has been an exciting year across all of sport. I have had the good fortune to attend – amongst other events – three huge sporting occasions here in the UK. Wimbledon. The British Grand Prix. And the Rugby World Cup. The first two are annual staples, and among the most celebrated sporting events on the planet. The Rugby World Cup, meanwhile, was widely seen as the best ever. It was a real testament to the appetite for live sport in this country that – despite England’s exit after just three games – fans still filled stadia up and down the country throughout the tournament. And that appetite for sport has helped to make it big business in the UK. Sport is a key element of the Government’s broader growth agenda – and a highly successful one. The Premier League is the best on Earth. Not only are more fans than ever watching in fantastic stadiums, it is one of this country’s most recognised brands – generating £3.4 billion in GVA in 2013/14 and supporting more than 100,000 jobs. 800,000 tourists attended a match last year. The Premier League is broadcast to 730 million homes in 185 countries. Sport-related consumer spending is worth around £30 billion annually. Motorsport Valley in the Home Counties employs 40,000 people in 3,500 companies. The Tour de France’s 2014 visit to Yorkshire added £100 million to that county’s economy, and helped draw the world’s attention to the beautiful Dales. There is of course a very strong link between sport and the tourism sector – for which my department is also responsible. Just as cycling has enticed people to Yorkshire, so football entices them to Manchester and Liverpool, and tennis brings them to Eastbourne and London. The sport-tourism link also supports a wide range of jobs in hotels, bars, restaurants, sports marketing and much else besides. One of the reasons that the Government is so much in favour of hosting international sporting events is the economic boost they give to cities and towns. The Cricket World Cup is coming here in 2019, providing opportunities for places like Southampton, Taunton and Durham. In 2017, Cardiff will host the Champions League Final. When Wembley hosted the same event in 2013, London was awash with the red of Bayern Munich and the yellow of Borussia Dortmund – many fans coming over to sample the atmosphere – and spend money - even though an estimated 100,000 didn’t have a ticket for the game. The Rugby World Cup generated nearly a billion pounds, and provided some terrific entertainment – such as Japan’s historic victory over South Africa. The Rugby League World Cup in 2013 was also a big success – with the final enjoying the biggest ever crowd for a rugby league international. Most impressive of all, the overall impact of hosting the 2012 Olympics and Paralympics is expected to be as high as £41 billion of GVA. London was an incredible place to be throughout both. And we now have the NFL starting to bring games to this country, with three further games this year. This will provide another massive boost. And if a franchise locates here permanently, that will only increase. A lot of the money that sport in this country generates comes via television rights. Television has had a revolutionary impact on sport. It famously transformed the domestic popularity of snooker several decades ago, but that enthusiasm has now spread to China – and indeed China’s Ding Junhui recently came within a few frames of becoming the first Asian world champion. Sky – and now as well BT – have generated huge sums for the sports they screen, whilst helping to grow and sustain interest and participation. We do not propose to reopen discussion on Listed Sporting Events. Rather than dictate to individual sports, I believe that it is better to allow national governing bodies and other rights-holders to decide for themselves the right balance between reaching a wide audience and generating as much revenue for their sport as they can. But it is our view that the starting point should always be how to ensure the broadest audience can experience live sport. The consultation leading up to our sports strategy found a widespread eagerness for more coverage of smaller sports and women’s sport. This is something I very much wish to encourage. I know, for example, that weightlifting fans think that Eurosport’s coverage of the sport has been excellent. I also welcome the Premier League cap of £30 for away supporters for the next three seasons, funded – in part – by their record-breaking TV deal. And I applaud the efforts of some clubs in the Football League to reduce season ticket prices and introduce concessions for young fans. I hope to see much more of this. A principle of the Voluntary Code of Conduct on the Broadcasting of Major Sporting Events is that a minimum of 30 per cent of net broadcasting revenue is put back into grassroots development within that sport. This is very welcome. Whenever a sport makes significant money from a television deal, I hope it will plough a substantial amount into its grassroots. For the grassroots of sport are critically important. We want people of all ages and abilities to be inspired to make sport a central part of their lives. The benefits of this are huge and varied. We know that sport has a positive impact on health, crime, wellbeing and social cohesion. It also has an economic impact. Physical activity adds £39 billion to the UK economy every year – half of which comes from people’s involvement in grassroots sport. The more people get active, the more the economy grows. It’s a virtuous circle. This was why my excellent Minister for Sport, Tracey Crouch, launched our new Sports Strategy last year, which explores the many ways we can get many more people active. This includes our consulting on how the corporation tax system might expand support for grassroots sport. We are determined to back all levels of sport. I also want to see the elite end of sport pulling its weight and supporting the grassroots on which it depends. After all, in 2012 Jamie Vardy was playing for Fleetwood Town. Now he has several England caps and a Premiership winner’s medal. Moreover - as I am always quick to remind anyone who will listen - Alastair Cook started his career at Maldon Cricket Club, of which I am a Vice-President. He is an honorary life member and regular visitor – a useful reminder that all the best sportsmen and women remember where they came from and that sport belongs to all of us. I recently met Leon Smith – the brilliant captain of the first GB team to win the Davis Cup since 1936. It was a superb achievement, but I was equally pleased to learn that one of the first things he did after that win was to use the momentum created to start enthusing more youngsters to play the sport. Along with Annabel Croft he is overseeing a scheme called “Tennis for Kids”, working with coaches to get children involved in the sport and to create an environment where they don’t just try tennis but stick with it. It is great to see elite coaches and athletes give back to their sport in this way. Some governing bodies have done good work too – such as the RFU through its CBRE All Schools programme, which aims to increase the amount of rugby in schools and encourage new players to join local clubs. The RFU invested 32.5m last year in the grassroots game, an increase of 5 per cent from previous year. And we are also extremely fortunate to have so many unpaid volunteers up and down the country - without whom sport would collapse. We are supporting those volunteers and the grassroots, where some of our best talent starts. The Premier League, which will earn over £5 billion over three seasons, already makes a significant investment in the grassroots of the game. However, the fact that it goes from strength to strength should have a commensurate impact on the lower levels of the sport. The Premier League has agreed with the Government that it will at least double its investment into community football over the coming three seasons. That means over £100 million for the next three years will go to grassroots facilities and programmes where it is needed the most. The funding details are dependent on the outcome of the Ofcom investigation into the sale of the Premier League’s audio-visual rights in the UK. Government does not control the timing of this, but will maintain a keen interest in how it develops. The British public has an immense appetite for sport – as participants and spectators. We must not, however, abuse that position. There has been a spate of shocking allegations and revelations in recent months. What has happened at FIFA is reprehensible and appalling. Accusations of match-fixing in tennis and snooker and allegations of doping in athletics are deeply disquieting. This is damaging the reputation of sport. All corruption must be rooted out and dealt with. It is vitally important that sports bodies at home and abroad uphold the highest standards of governance, transparency and accountability. Tomorrow, the Prime Minister is hosting an international Anti-Corruption Summit, the first of its kind. He will be welcoming international governments, businesses and organisations leading the fight against all corruption, including sports bodies. It is the right thing to do. Government invests millions in sport, and has a responsibility to the taxpayer and Lottery player to see that their money is well spent. We have a responsibility to tackle corruption wherever it is to be found, whether in sport or anywhere else. We want to inspire other governments to take a similarly robust position. Across the world, governments are the single biggest investor in sport – whether in the grassroots, elite funding or major events. Domestically, we have a good record, but more needs to be done, especially if we are to lead the world by example. UK Sport and Sport England are drafting a domestic code, which will be launched later in the year. It will include new rules on governance, financial transparency and diversity. There are cases where certain minimum standards are not being met, in regard to independence, conflicts of interest and term limits. This is a betrayal of athletes and the public alike. In future, where these standards are not met, we will not invest public money. I was disappointed to learn that the FA have again rejected the opportunity to reform their out-dated and unrepresentative governance model. So I will be writing to the FA to make clear that if they don’t make sufficient progress on reform, they will not get a penny of taxpayers’ money in the future. We would look instead to route money for grassroots football to other organisations that will adhere to the code of good governance. It is also vitally important that fans continue to feel connected to their clubs. In January the Government’s Expert Working Group published a report on football supporter ownership and engagement. It has been well received by the football authorities and by supporters’ groups. The report contained proposals on improving dialogue between fans and clubs and about making it more realistic for fans to bid for ownership of their club, when such opportunities arise. From next season, club owners will be expected to talk with a representative group of supporters about matters of strategic importance – giving them more information and a chance to hold key people to account. This year will be another momentous one for sport. We have three major events in Euro 2016, the Olympics and Paralympics. We are looking forward to an exciting European Championship in France and wish the English, Welsh and Northern Irish teams good luck for a successful tournament. Statement, whereby we are increasing central government funding for elite sport. We want to keep the medals count up at Rio this year and Tokyo in 2020! Sport is something that we are great at. It is one of our biggest drivers of talent, it boosts our economy, it gives us international clout and national pride, and it is hugely enjoyable. This government is making a record investment in sport, because sport in this country has the potential to be even bigger and better. We want to see all corruption sniffed out and strangled, and as many people as possible from all backgrounds enjoy the multiple benefits of a sporting life. We will therefore continue to implement all the goals in our sports strategy, and we will continue to work with all of you, to deliver all these benefits.